e digital ocean is throwing a big number of opportunities and magical resources to drive your business growth. Business owners are adopting numerous strategies to stay tall in this competitive environment such that videos, websites, social media marketing campaigns, contentment, analytics etc. The mobile app development is one of the ongoing trends where most of the businesses are selling and promoting their services or products through the app. The main reason is that the number of mobile users all over the globe is expected to cross 5 billion by 2019. So it has become very easy to promote your products and services among these five billion. efore going for the develoment, clear your objectives. Define the proof of the concept and visualize your milestones. A neat and clean objective will help you to draw a complete picture of your work. Which kind of app you want to develop, what are your targetted audience, are you willing to sell something on that platform, how much pages it will contain, are you planning to put login or registration APIs for the user, what are your expectations from this app? You need to clear these questions before marking your entrance. App Development is not free. It requires a proper budget allocation for the resources and whole development work. You need to specify a budget for developers, platform, storage, marketing and promotions, infrastructure etc. You can use app calculator for estimating your development budget which you can easily get online. Before start development, you need to select the most familiar and feasible platform where you can write and test your code. There are various platforms like Netbeans, Android Studio, Eclipse etc., for creating an android application. Choose your one wisely, where you have previously worked. Apart from the platform, a complete knowledge of Java Language is compulsory for developing such applications. 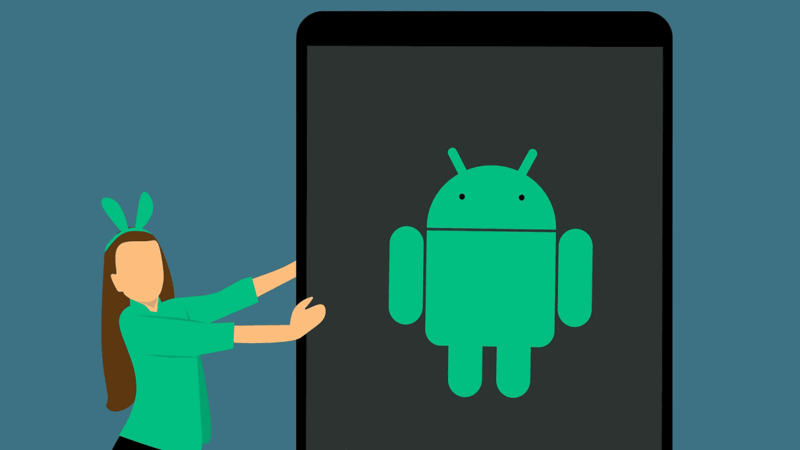 If you are unaware of this beautiful technology, you can join the App Development Course and explore all the phases involved in an Android application making. A proper market research is compulsory. The market data will help you to understand the strength and weakness of the upcoming competitors. It will also assist you in creating powerful strategies to attract qualified leads for your app. Analysing the competitors market will provide valuable insights so that you can avoid common pitfalls and make accurate decisions in the future. Note down that the customer’s reviews are mandatory for such development. Users feedback will tell you about their requirements and interests. You need to select the region you want to cover with this app. At which portion of the globe, you want to sell your service or products most? You must understand the customer experience, likes or dislikes, feedback, crowd, the total number of Android users etc., like statistics for delivering them valuable and awe-inspiring services. The design is the most critical part of an Android app. The efficiency and functionalities of your application will make it attractive and fast. You need to focus on the layouts, fonts, styles, colours, pictures, videos, contents, borders and patterns etc., like attributes, are needed to fit carefully. You can go through Google’s guidelines to understand such topics. Your application should deliver a good user experience. Audio effects, screen transitions, placement etc., like factors are examined carefully for an improved user experience. My suggestion is, try something new and different because 3.8 million mobile applications are already available for Android users to select from. The digital world is full of various infected programs flowing openly across it. Junks like malware, DDoS attacks, SQL injections, etc., can break your dreams in minutes. So, before it happens, try to protect your app and customer data with properly designed security walls. Thus, you can understand how many factors are available which need attention for rolling like a big belied barrel in the market.